Now surrounded by the University of Rochester and busy city streets, it remains a serene location to remember loved ones and many notables like the founders of Bausch and Lomb; James Cunningham (manufacturer of carriages); Myron Holley (overseer of the Erie Canal construction); and abolitionists Isaac and Amy Post. The first municipal cemetery in the country, Mount Hope was laid out by a professional landscaper on a 50-acre plot that has increased over the years to 196 acres. In addition to some lovely wooded hills, it also features unusual landforms known as kettles—shallow, sediment-filled bodies of water formed by retreating glaciers. Henry Greeley, who coined the term “Go West, young man!,” cited its natural beauty and “good carriage roads” whose 14 miles still can be traversed today. 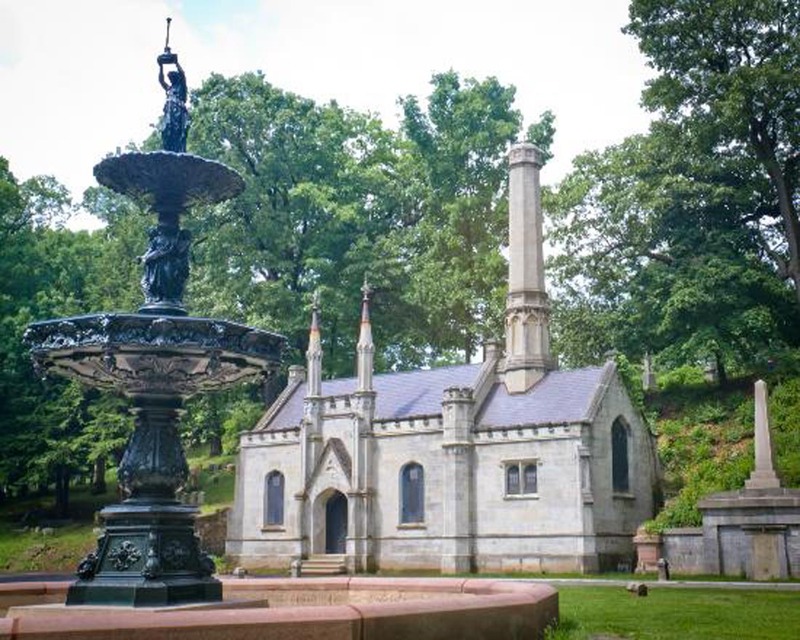 Mount Hope Cemetery is a fitting place to remember Susan B. Anthony, her sisters who voted with her, and her friend in reform, Frederick Douglass. This entry was posted in Amy Post, Contemporaries of Anthonys, Frederick Douglass, Mount Hope Cemetery, Sisters Guelma, Hannah, and Mary, Susan B. Anthony, Uncategorized and tagged Mount Hope Cemetery, Susan B. Anthony by Jeanne. Bookmark the permalink.